After saying a sad farewell to the Albufera Natural Park on Tuesday morning, passing once more by the biohops of Valencia as we left, we made our way south to find a quiet base for Christmas. 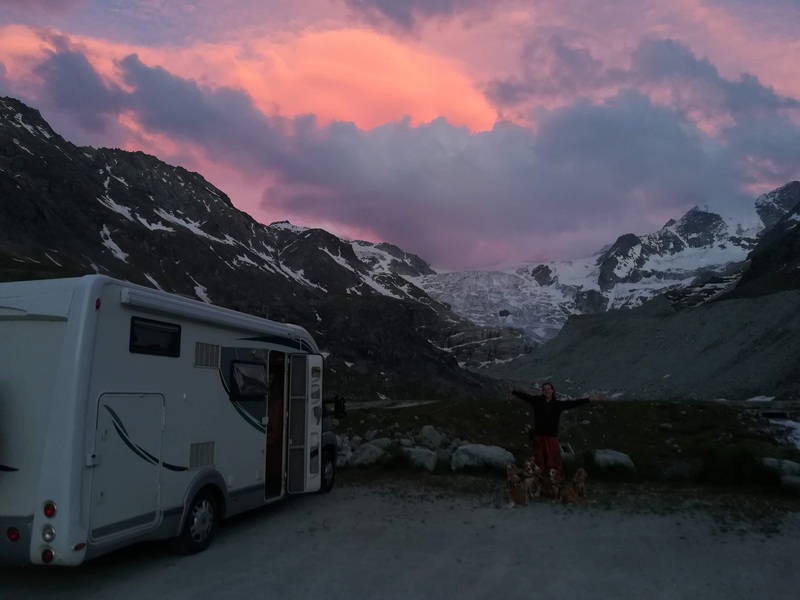 As much as we love touring in our motorhome, travelling to new places, tackling new hikes and exploring new cycle routes, we had always planned that we'd find a nice comfortable base to spend Christmas and New Year. Our list of requirements was pretty simple: plenty of sunshine, peace and quiet, preferably in a nature reserve close to the sea and decent internet access so we could say hello to family and friends through the holiday period. We've spoken to a few people on our travels who have toured the world and all of them say that at some point or another you just get the urge to put down some roots. It might be after six months, it might be after 10 years, but everyone eventually needs a pause from exploring. Now, we certainly don't feel we've reached that point yet, however, the prospect of having a peaceful base to reflect on an eventful year and see in the new one for a few weeks did appeal to us and we feel we've found the ideal location at Camping Los Escullos in the Cabo de Gata Natural Park. Nestled right on the south east corner of Spain, the Cabo de Gata Natural Park resembles a desert landscape, with rolling red dusty hills covered by cactus and dense shrubs stretching down to a coastline marked by precipitous bays looking over the sea towards Africa. It is stunningly beautiful. When we mentioned our plans to other motorhome tourers earlier in December they all said, "but there's nothing there! No restaurants, no bars...." And we thought "Perfect!" So on Tuesday night we arrived and since then have been enjoying a quiet few days of settling down for Christmas, introducing ourselves to our neighbours and catching up with friends and family back home. Most other residents at the campsite, primarily Dutch, British, German and Spanish, are also settled down for several weeks or months and many have bought their Christmas decorations with them so that each night we can look out of our window to the sight of flashing lights and mini Santas scaling the back of our neighbours motorhomes. We've even added our own decorations to our rear view mirror (our travel reindeer keyrings from our previous two trips to Norway)! The peace and quiet, however, is also balanced by plenty to do. Although so far we've only taken a few strolls along the coast, just for a few hours or so, we were also pleased to discover a wealth of cycling and hiking trails hereabouts heading inland and along the coastal cliffs just waiting for us to explore them as well. There are extinct volcanoes, abandoned gold mines and due to the desert landscape this natural park was also the location for filming several Clint Eastwood western movies. We really feel that we have found the perfect location for us to spend Christmas and New Year.